Uli Derickson saved dozens of lives acting as a peacemaker after Hezbollah members hijacked TWA Flight 847. June 14, 1985, must have seemed a morning like any other to Uli Derickson. A flight attendant for Trans World Airlines, Derickson and the rest of the crew were preparing for what should have been an uneventful flight from Athens to Rome. But shortly after liftoff, the crew of TWA Flight 847 discovered that this flight was going to be far from ordinary. At around 10 a.m., two passengers stood up in their seats and revealed a pistol and two grenades they had smuggled on board. As Derickson approached the two men to see what was happening, one of them kicked her in the chest. He then lifted her off the ground and pulled her with him towards the cockpit. Derickson knew then what was happening. As the two men pulled her to the front of the plane, one of them yanked the pin from a grenade and held the handle. If he were to relax his grip, the grenade would explode. The man holding the grenade then kicked at the cockpit door until the pilot opened it. At that point, the other hijacker pistol-whipped the pilot and informed him that the plane was now under his control. The two hijackers were Hezbollah terrorists from Lebanon and demanded that the plane be diverted to Beirut. At first, the Lebanese air traffic controllers refused to let the plane land but then relented when the captain explained how serious the situation was. The hijackers spoke little English, but one did speak German. Having grown up in Germany, Derickson was able to communicate with the hijacker and urge him not to hurt the pilot or passengers. She also pleaded with them to release the female passengers on board, and though he refused that request, she managed to convince him to release the elderly passengers and children in Beirut. Once the plane was refueled, the hijackers demanded the pilot fly the plane to Algiers, the capital of Algeria. There, the Algerian ground crew refused to refuel the plane without being paid. Angered by the refusal, the hijackers threatened to begin killing passengers. Thinking quickly, Derickson offered to use her Shell Oil credit card to pay for the gas. Though she racked up a nearly $6,000 fuel bill, she managed to prevent the hijackers from killing any of the passengers. With the plane refueled, the hijackers demanded the captain fly back to Beirut. On this flight back to Beirut, they began to get violent. Through the ordeal, the hijackers singled out anyone on the flight who was in the US military and beat them. Derickson often threw herself in front of the hijackers during these beatings, pleading with them to stop. The hijackers then asked Derickson to collect the passports of all the passengers and turn over any that had “Jewish” surnames. Derickson collected the passports but hid any she thought the hijackers might want to single out. 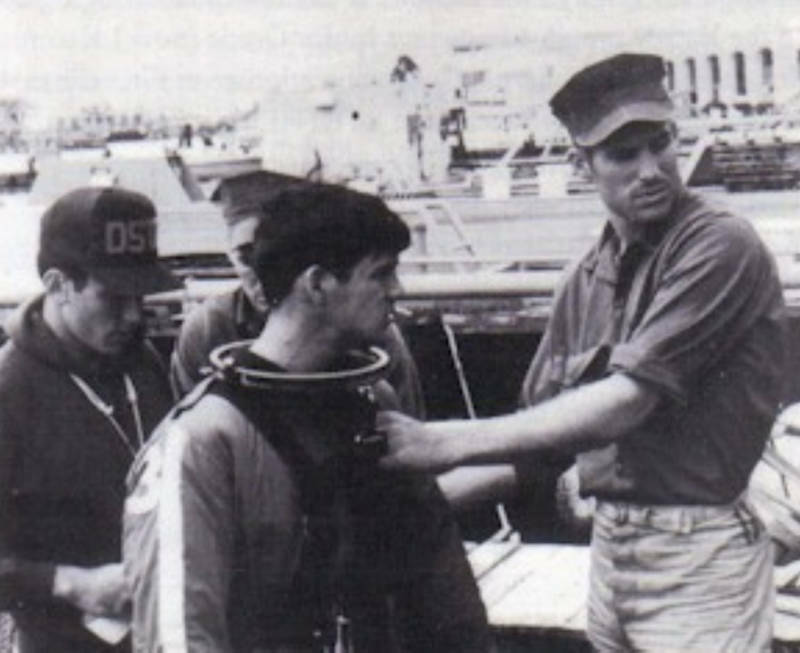 Despite her efforts, Derickson couldn’t protect Robert Stetham, a U.S. Navy diver. On the flight back to Beirut, the hijackers beat Stetham and then shot him in the head. When the plane landed, they dropped his body out onto the tarmac and shot it again. Seven of the passengers that the hijackers thought might be Jews were then pulled off the plane and handed over to a Shia militia and taken to a prison. U.S. Navy Seabee Museum/ FlickrRobert Stetham preparing for a dive during his Navy service. After taking on a dozen heavily-armed accomplices in Beirut, the hijackers directed the plane back to Algiers. But once they landed, Derickson and most of the passengers on the plane were released. Once again, the terrorists ordered the plane to Beirut and began negotiations to release the remaining hostages. Their demands were the release of close to 1,000 Lebanese prisoners in Israel and an international condemnation of Israel and the United States. In the end, they settled for the release of 31 prisoners. Thanks in large part to Derickson’s actions, only one passenger was killed. But false reports that she helped the hijackers target Jews on the plane led to her receiving death threats. 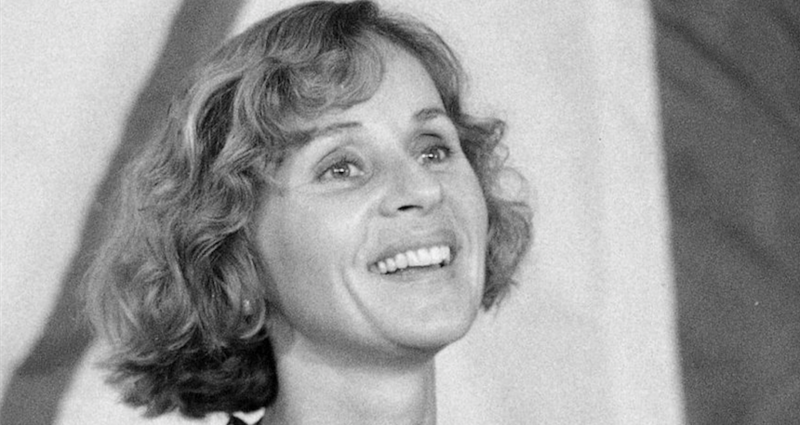 Once the truth that she had tried to protect the Jews on board was revealed, she received a new wave of death threats from people who supported the hijackers. Ultimately, she had to move to Arizona to escape the harassment. There, Uli Derickson continued working as a flight attendant and was even awarded a Silver Medal of Valor by a veterans organization. When the leader of the hijackers, Mohammed Ali Hammadi, was eventually tried in Germany, Derickson served as a witness for the prosecution. Hammadi was paroled 19 years later and disappeared. He remains wanted by the FBI. Derickson worked as a flight attendant until she was diagnosed with cancer in 2003. She died on Feb. 18, 2005. Next, read about the ultra-Orthodox Jewish men who blindfolded themselves at the airport to avoid seeing women. Then, check out the woman who saved 2,500 children by smuggling them in suitcases during the Holocaust.